On June 25, the Italian Chamber of Commerce of Ontario (ICCO) hosts its second free public tasting event as part of The Extraordinary Italian Taste Project at Cheese Boutique (45 Ripley Avenue) from 12 – 5 p.m. 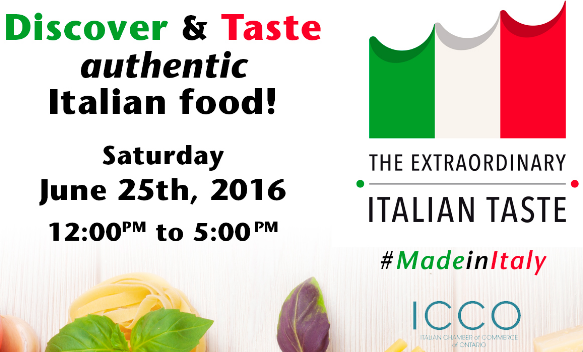 The tasting will offer samples of cheese, balsamic vinegar, pasta, and other #MadeinItaly goods. 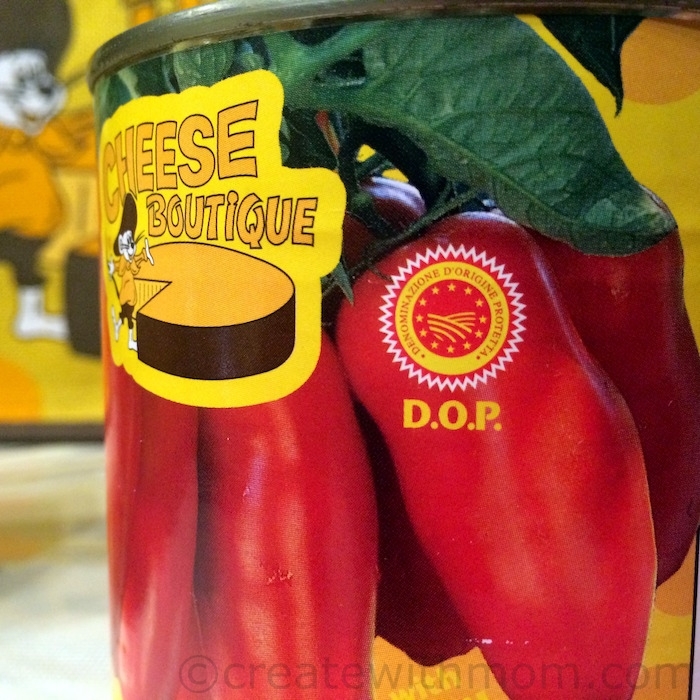 ICCO and Cheese Boutique will select items that are DOP or IGP designated, meaning they have been produced in Italy according to strict rules, guidelines, and regulations. Their initiative is to raise awareness for authentic Made in Italy products by highlighting the designations that true Italian goods must have on their labels. The goal is to educate Canadian consumers on how to identify and appreciate authentic Italian products, in order to help them make informed purchases and experience the inimitable quality of Italian food exports. I like this initiative, as I believe that many people like me want the authentic experience. I am glad we are able to get the products right here in Canada. 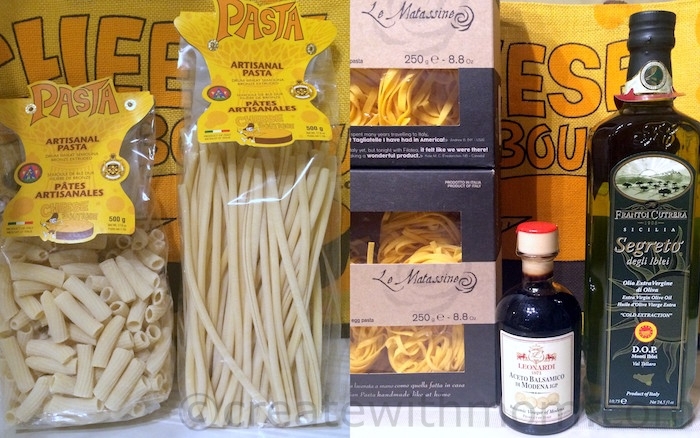 It is estimated that Canadian consumers spend $950 million annually for Italian food products and $3.6 billion for "Italian Sounding" food products - items which appear to be a product of Italy by the name, label, or graphics but it is actually produced in Canada, the USA, or any country other than Italy. The event will take place at Cheese Boutique, a gourmet emporium that has been supplying Toronto with a wide range of epicurean wonders including truffles, foie gras, olive oils, jams, pastries, and more for over 44 years. Its Cheese Vault, a first of its kind in Canadian retail, houses a variety of cheeses from around the globe, and holds some of the longest-aging wheels of cheese. I used authentic products available at Cheese Boutique to make this Al Dente Spaghetti with Tomato Sauce and Basil. In a large pan lightly brown the fresh garlic in the extra virgin olive oil. Avoid burning the garlic or it will taste bitter. Add the can of tomatoes, cook at medium heat for 8 to 10 minutes. 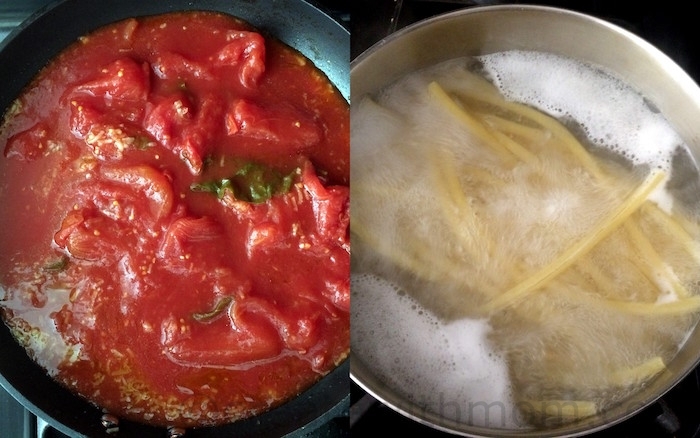 Cook the spaghetti al dente, drain them and toss in the tomato sauce for 1-2 minutes over medium heat. Put the spaghetti in individual previously warmed plates, add some sauce, a few drops of extra virgin olive oil and a couple of fresh basil leaves on each plate and serve warm. Using authentic products make a huge difference in flavour and taste that we enjoyed. Sounds delish!! I bet a million times better than with just reg. non authentic!! Hmm . . . a tasting event! Unfortunately I have other plans, but it's a great idea. Thanx for the recipe! I would love to attend but unfortunately I live too far. It looks so delicious! I would love to attend but I live in another province! Looks delicious! I bet this will be totally amazing. Wishs I lived closer. sounds totally delectable! Oh doesn't that look good? You know food tastes better when you don't have to make it yourself? I wish I lived somewhere there was taste testing!! 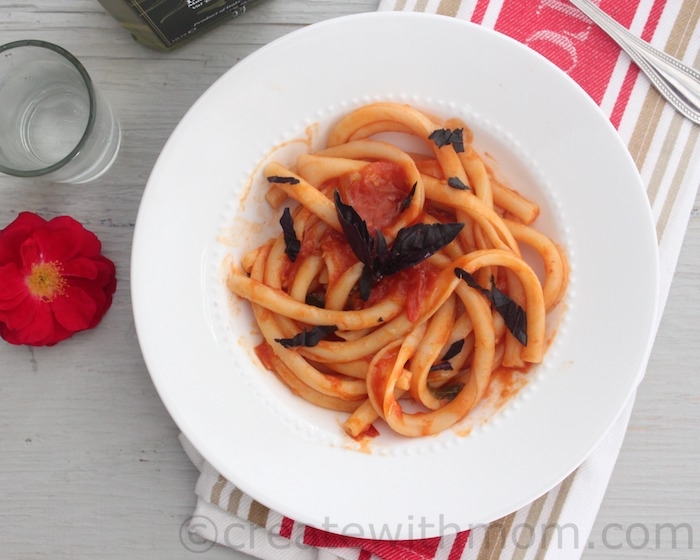 I had no idea Canadians spent that much annually on Italian food! I do love pasta too! Would love to visit this event! This would be a lovely dish for a cold evening. Oh my this sure looks delicious,I love pasta!